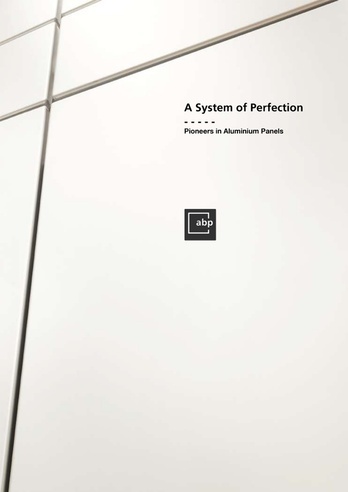 Twenty-five years of experience in façade systems and aluminium wall cladding have made ABP the leading expert in the field. With over half a million square meters of surface material for factories, office towers, subways, sport facilities and residential buildings completed, ABP has an enviable track record for efficiency, quality and cost-effectiveness that few in the industry can match. ABP’s commitment to excellence is not limited to its current products and services. Innovation and research into new materials and techniques are an integral part of ABP’s core business strategy. By continuing to provide new engineering solutions for its clients, ABP aims to continuously reassert its position as leader in the industry. Visualspace is APB’s agency of record. Besides delivering a new logo, Visualspace is developing the new website and designing a range of brochures covering ABP’s innovative products.